In which G.M. Norton celebrates Norton of Morton’s second birthday. This next week marks a pretty momentous event in the old calendar, for the 8th September means it is precisely two years since Norton of Morton came to life. I do so enjoy reminiscing when I reach an important milestone. 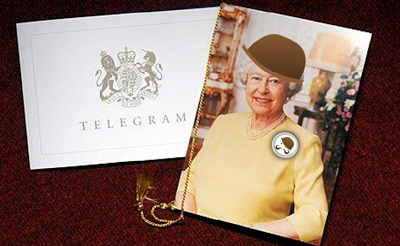 Take last year’s 1st birthday celebrations for instance, where I received a telegram from Her Majesty the Queen. 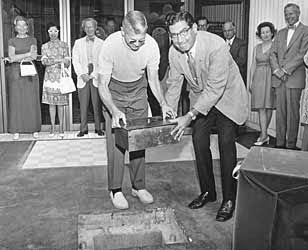 Or marking a year of my handlebar moustache with a time capsule ceremony. I almost let this periodical’s second birthday pass by with no fanfare. I didn’t even get my chums, Puttin’ On The Blitz! to sing a jolly tune in celebration. But then, when I started to list all the things that had happened over twelve extraordinary months, I couldn’t resist. So, here are my highlights. 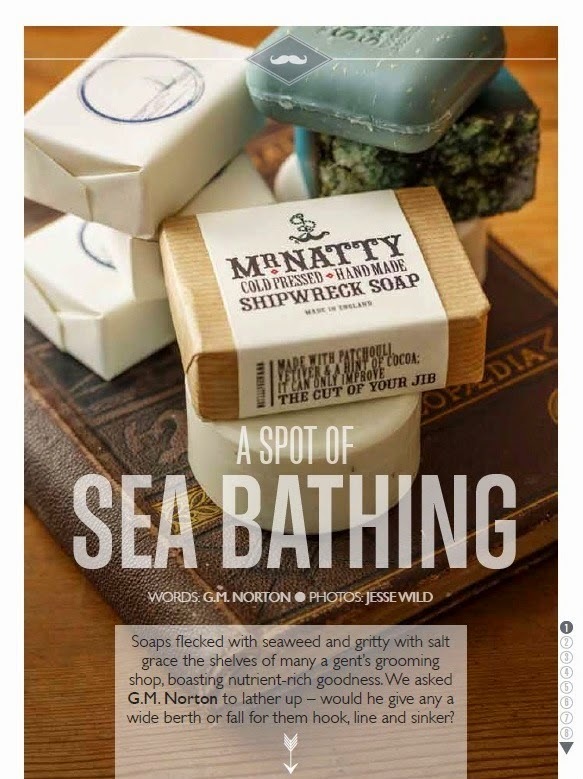 Writing for four different publications - His Vintage Life (sadly no longer with us), Pretty Nostalgic, Ernest Journal and In Retrospect magazine. 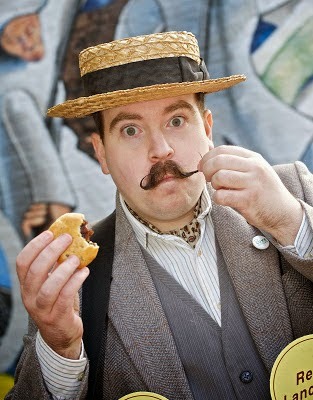 Then of course, I portrayed Mr Eccles Cake at last year’s Eccles Cake Festival. Yes, that’s me, being paid to eat cake and twirl my lip weasel. 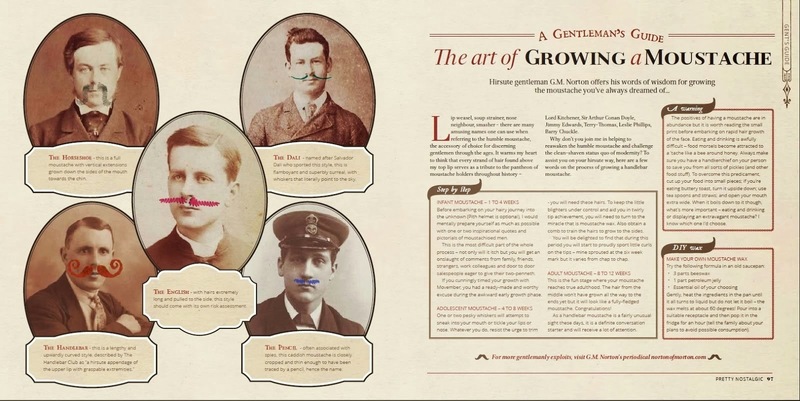 I also penned a moustache grower’s guide which I timed for Movember, in the hope of encouraging men to cultivate interesting facial hair. 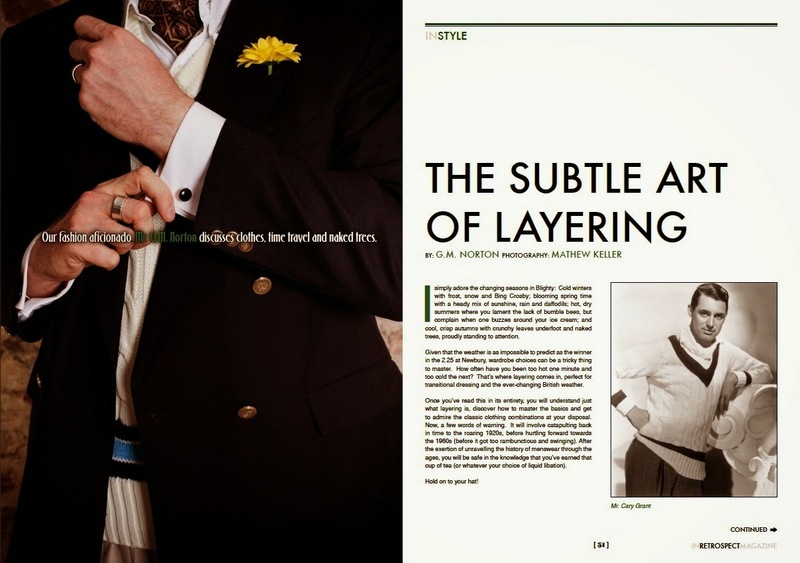 After mulling it over, I started my ‘Real-life dandy’ feature, shining the sartorial spotlight on immaculately dressed chaps. I have a new one coming so keep those eyes peeled. 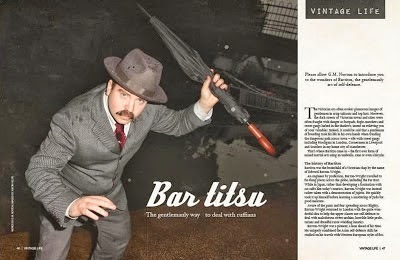 I’ve not mentioned it on these pages before (unless you’re familiar with my Coverage page), but wearing nothing but a moustache and a smile, I was featured on a national United Utilities water campaign. 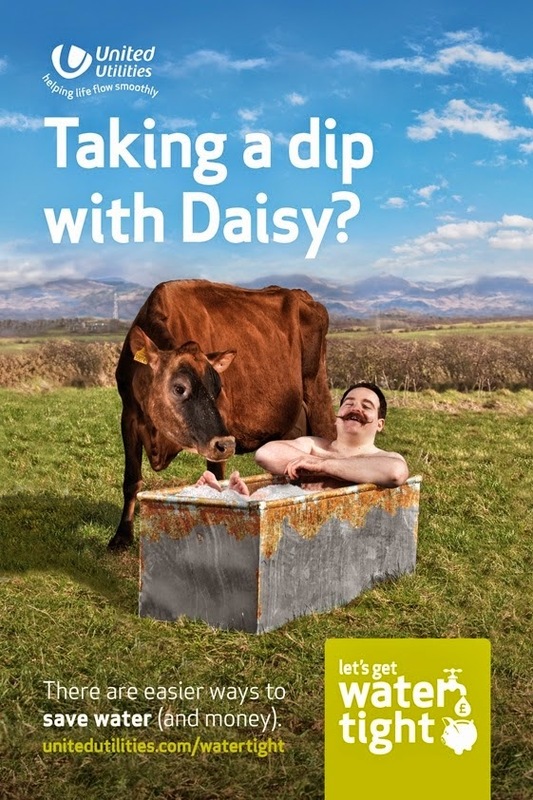 It involved lying in a cow trough in the middle of a farmer’s field in Cumbria and getting awfully intimate with cows. 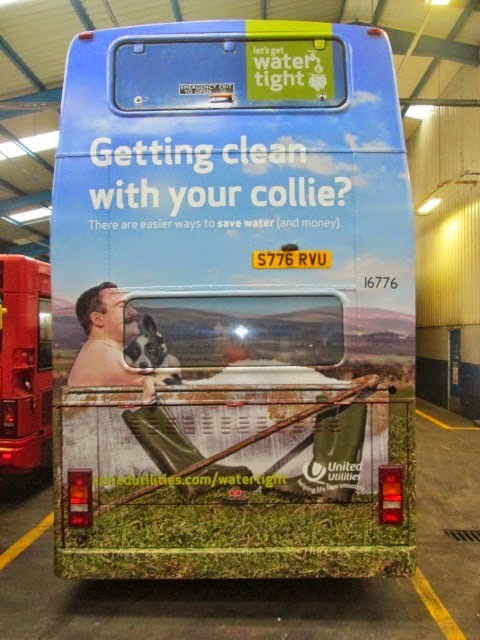 I even had the ‘honour’ of being on the back end of a bus. 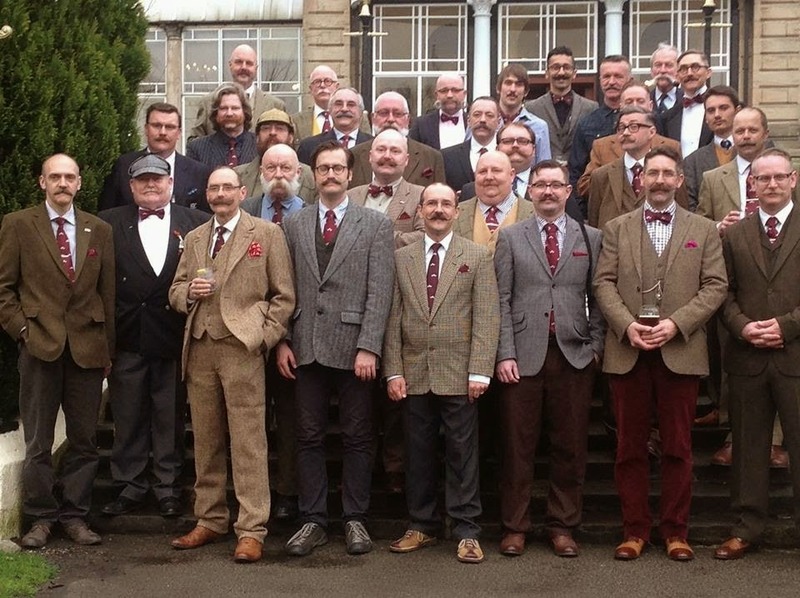 Of course, I was tickled pink to attend the Handlebar Club AGM, joining my fellow hirsute members for rambunctious fun in Buxton. 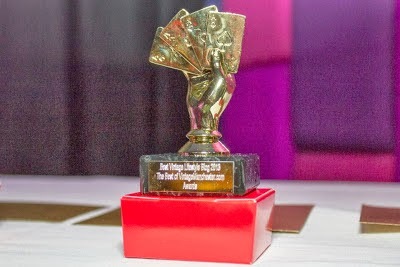 I’m still a little taken aback by this but in the last twelve months, Norton of Morton scooped two awards. 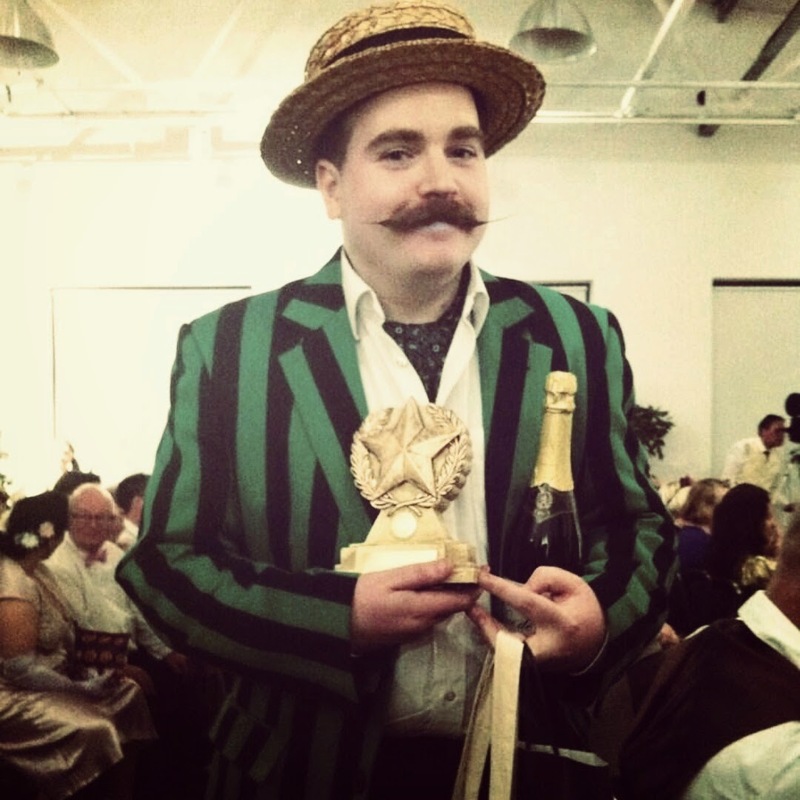 The first was last October, where it claimed the title of Best Vintage Blog in Manchester, before winning the ultimate gong at the National Vintage Awards - Best Vintage Blog in Blighty. As if all that wasn’t enough, last month I was quoted on the BBC website as an authority on cravats. Gadzooks! It’s only a small quote right at the very end but amazing nonetheless. I hope you will join me in raising a beaker in celebration. Thanks awfully for continuing to read this bilge. You are a dear chum, with whom it is a pleasure to hob-nob. Here’s to another super year! Happy 2nd birthday to your blog old bean, and many thanks for keeping the nation well informed on the grave matter of sartorial elegance. Jolly decent of you to pass on your birthday wishes, dear lady! And for recognising the importance of cutting a dash. Magnificent! Bathing with cows is a feat not many can put on their CV. Congratulations, and all the best for the years to come! You've reminded me, I must update my LinkedIn profile with the cow bathing. I will list it as a skill too! A thousand thanks, dear boy. Congrats for Monday! 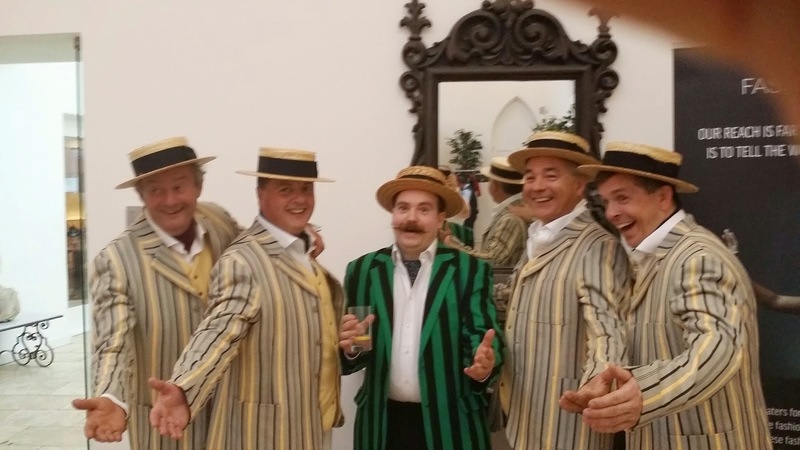 Awfully proud to have featured in one of your Real Life Dandy episodes this year. Keep up the good work old thing! Wonderfully good of you, Sir! Thank you for agreeing to be featured. Collecting immaculately dressed people is my new favourite hobby.